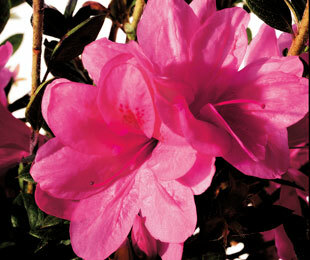 Description: Autumn Empress™ Rhododendron is a heat tolerant Azalea with a medium mounding growth habit. It is a repeat bloomer in spring, summer and autumn, with heavy summer flowering. 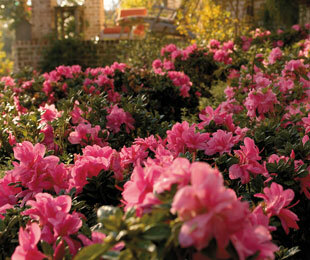 Autumn Empress™ Rhododendron has beautiful semi-double, medium pink blooms with dark green foliage. Size: 1m high x 80cm wide.